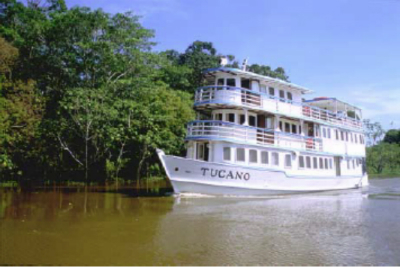 The Motor Yacht Tucano was built in the tradition of the steamboats that navigated the Amazon in the late 19th century. This traditional design has several crucial advantages for Amazon river travel. The two most important of these are shallow draft and large volume of the interior space.